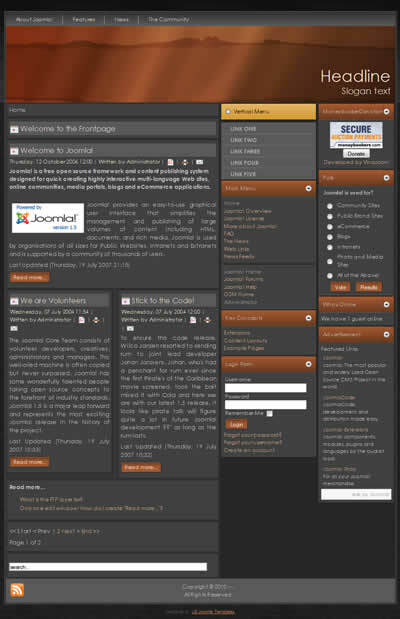 Free 3 column Joomla cms template with main content in the center column, rounded corners and dark color scheme. 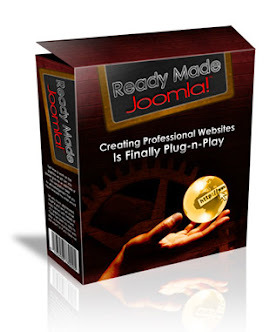 This free Joomla 1.5 template has fixed width, it is css and xhtml valid, it has dark wooden gradient background and it is suitable for blog or portal website. 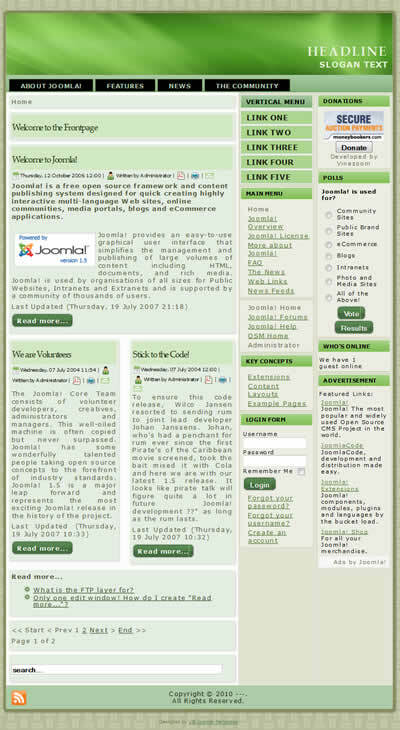 Free 3 column Joomla 1.5 template with green header, rounded corners and two drop down menus. 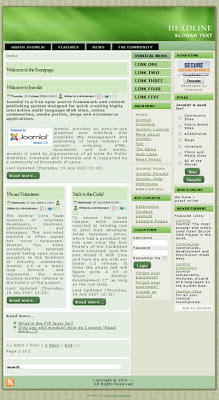 This joomla 1.5 template is css and xhtml valid, it has fixed width and it is suitable for business website or personal blog. 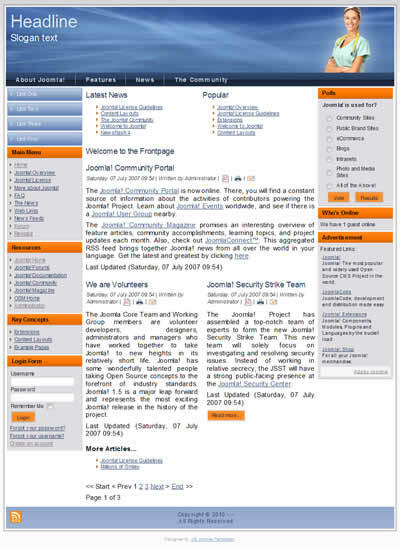 Free 3 column Joomla cms template with horizontal and vertical multi level navigation bars, main content in the center column, sidebars on the left and right and light color scheme. This free 3 column joomla 1.5 template has fixed width, it is css and xhtml valid and it is suitable for health or fitness blog or portal website. 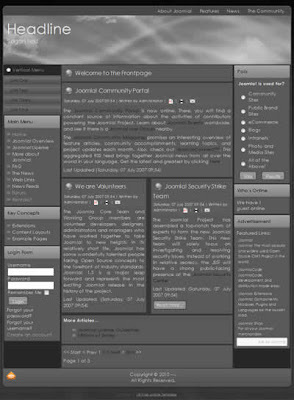 This is template No 100 on this blog. I hope you will like this one. Template has two drop down menus, horizontal and vertical. It has main content in the left column and two sidebars are in the right column. 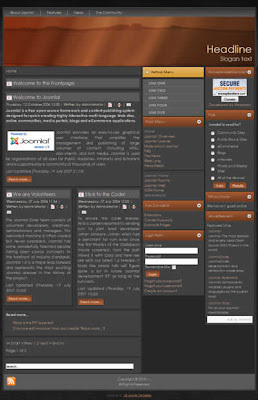 This free Joomla 1.5 template has wooden background, fixed width and it is css and xhtml valid.